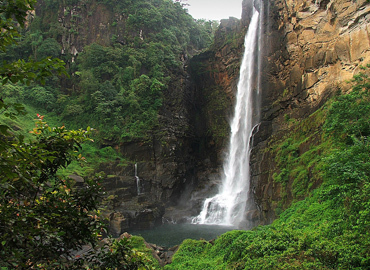 Laxapana Falls, at 126m is the seventh highest in Sri Lanka, is situated on the Maskeliya Oya. Whereas the water once flowed copiously, the construction of a dam has reduced the flow. 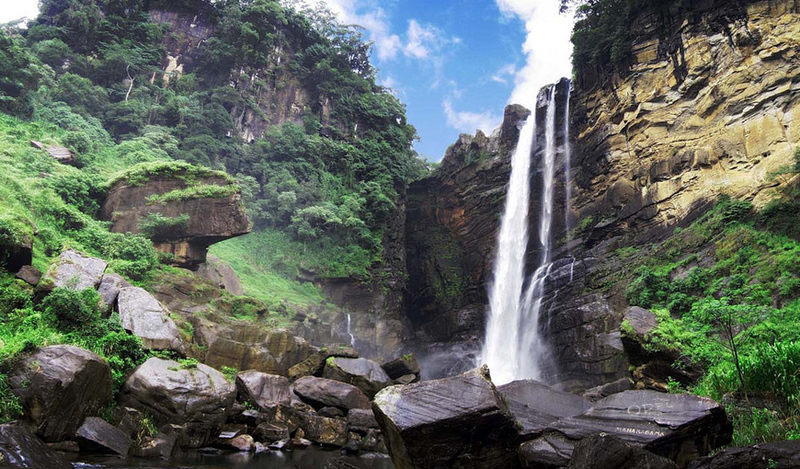 Nevertheless, this waterfall is still a magnificent sight. The waters have to wend their way through big boulders before gushing over a ledge and falling down a sheer rock face set amidst tall trees. 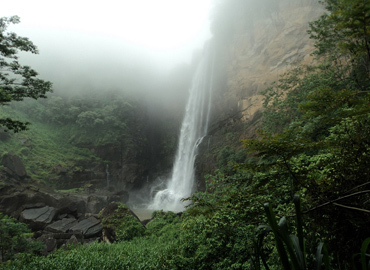 The traditional Sinhalese name for the Laxapana Falls is Veddah hiti Ella, or the Falls Where the Veddah Lived. The modern name may be derived from the Sinhala lakshaya, which means "100,000". 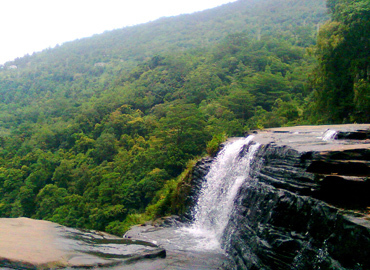 Alternatively, it may be derived from lakshana or beautiful. i.e. "beautiful stone".